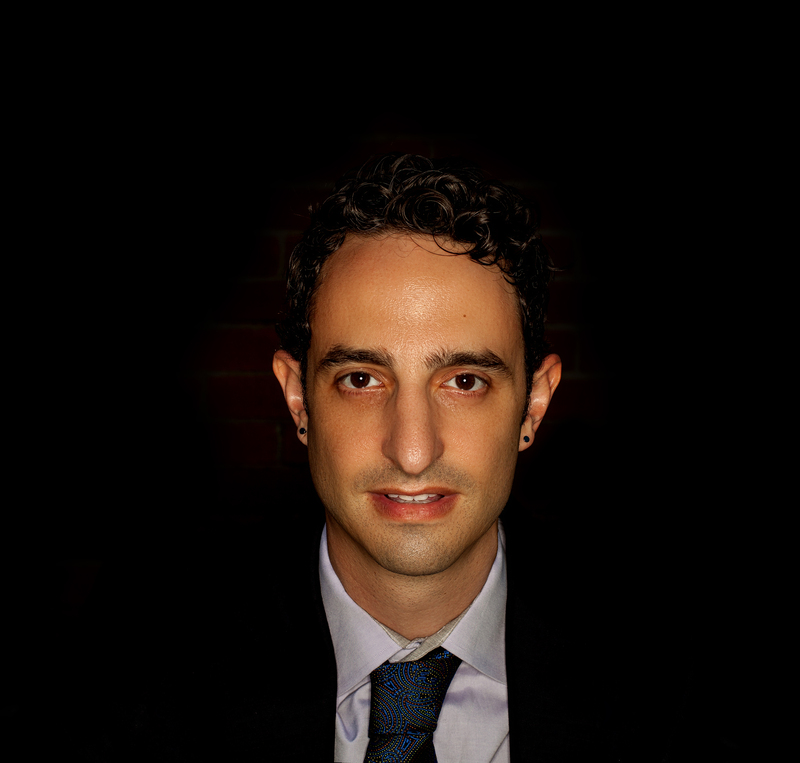 Joshua I. Cohen (Ph.D., Columbia University, 2014) is an art historian specializing in 20th-century francophone West Africa and cross-cultural exchange. His areas of interest include modern African art; discourses of “primitivism,” “renaissance,” and “black art”; nationalist and socialist cultural policies; transnational African ballet performance; postcolonial studies; museum studies; and global modernisms. At CCNY he teaches courses in canonical African arts; African and global modernisms; the Harlem Renaissance; histories of portraiture; and postcolonialism and contemporary art. He also regularly teaches Introduction to the Visual Arts of the World. In spring 2016 he helped organize the Art Department Annual Symposium, "Theories and Methods of the 'Global' Modern." His research has received support from the Fulbright, Lurcy, Kittredge, Dedalus, Mellon, Whiting, and other fellowships. In 2016-17 he was a fellow in the Department of Arts of Africa, Oceania, and the Americas (AAOA) at The Metropolitan Museum of Art. His writing has appeared in The Art Bulletin, African Arts, The Journal of Black Studies, and The Burlington Magazine, as well as in publications for the Musée National d’Art Moderne (MNAM, Paris) and the Museum of Modern Art (MoMA, New York). With Sandrine Colard and Giulia Paoletti, he co-curated The Expanded Subject: New Perspectives in Photographic Portraiture, and co-edited the exhibition catalog (Wallach Art Gallery/Hirmer, 2016). His monograph on African sculpture and modernism is forthcoming with The University of California Press. The “Black Art” Renaissance: African Sculpture and Modernism across Continents. Oakland: University of California Press, forthcoming. Cohen, Joshua I., Sandrine Colard, and Giulia Paoletti. The Expanded Subject: New Perspectives in Photographic Portraiture from Africa. New York; Munich: Wallach Art Gallery; Hirmer Verlag; distributed by Chicago University Press, 2016. Harlem and Abroad: Notes to an International ‘Renaissance.’” Wasafiri 34 no. 3, issue 99 (September 2019), forthcoming. “Locating Senghor’s École de Dakar: International and Transnational Dimensions to Senegalese Modern Art, c 1959-1980.” African Arts 51, no. 3 (Autumn 2018): 10-25. “Fauve Masks: Rethinking Modern 'Primitivist' Uses of African and Oceanic Art, 1905-8.” The Art Bulletin 99, no. 2 (June 2017): 136-65. “Stages in Transition: Les Ballets Africains and Independence, 1959 to 1960,” Journal of Black Studies 43, no. 1 (January 2012): 11-48. “Derain et l’« art primitif » ,” trans. Jean-François Cornu, in André Derain, 1904-1914. La décennie radicale, ed. Cécile Debray, 129-133. Paris: Éditions du Centre Pompidou, 2017. “Un équiblibre décisif entre l’« éternel » et le moderne,” trans. Jean-François Cornu, in André Derain, 1904-1914. La décennie radicale, ed. Cécile Debray, 91-92. Paris: Éditions du Centre Pompidou, 2017. Cohen, Joshua I., Sandrine Colard, and Giulia Paoletti. “Introduction: Portraiture beyond (Self-)Representation.” In The Expanded Subject: New Perspectives in Photographic Portraiture from Africa, 15-31. New York; Munich: Wallach Art Gallery, Hirmer Verlag, 2016. “Interrogating the Portrait in Mohamed Camara’s Photography,” in The Expanded Subject: New Perspectives in Photographic Portraiture from Africa, 59-79. New York; Munich: Wallach Art Gallery, Hirmer Verlag, 2016. “The Play: Reassembling African Arts in the West,” in Curatorial Dreams: Critics Imagine Exhibitions, ed. Shelley Butler and Erica Lehrer, 127-140. Montreal; Kingston, Ont. : McGill-Queens University Press, 2016. “Picasso and primitive art. Paris, Kansas City and Montreal.” The Burlington Magazine CLIX, no. 1376 (November 2017): 944-45. Cohen, Joshua I., and Ginger Nolan. “Book Review: Daniel J. Sherman, French Primitivism and the Ends of Empire, 1945-1975 (University of Chicago Press, 2011),” African Arts 46, no. 1 (Spring 2013): 93-94. “Exhibition Review: VIIes Rencontres Africaines de la Photographie,” African Arts 42, no. 2 (Summer 2009): 88-89. “Exhibition Review: A Cameroon World: Art and Artifacts from the Marshall and Caroline Mount Collection,” African Arts 42, no. 1 (Spring 2009): 102-103. “Identity and Abstraction: Ernest Mancoba in London and Paris, 1938-1940.” Post: Notes on Modern & Contemporary Art Around the Globe. New York: The Museum of Modern Art, 2018. “Interroger le portrait dans la photographie de Mohamed Camara,” trans. Clara Pacquet, in Photographie et oralité. Dialogues à Bamako, Dakar et ailleurs, ed. Bärbel Küster and Clara Pacquet, 2017. “Deux masques ivoiriens et La Guitare (1912) de Picasso.” In Actes du colloque: Picasso. Sculptures. Paris: Musée Picasso, 2017. “Souleymane Keita: Traversées.” In Actes du colloque: Avant que la ‘magie’ n’opère : Modernités artistiques en Afrique, ed. Maureen Murphy and Nora Gréani. Paris: Institut National de l’Histoire de l’Art; Histoire Culturelle et Sociale de l’Art (HiCSA), Université Paris I Panthéon-Sorbonne, 2017.